historic rail line terminated at Hudson Yards. 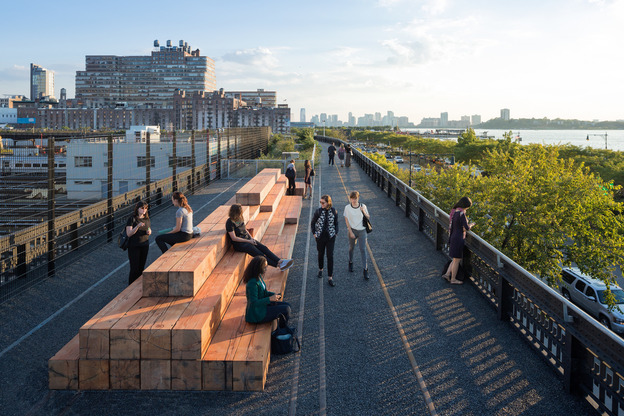 The High Line was originally an elevated rail track that provided traffic free access for freight trains to deliver goods and supplies to Manhattan’s Meatpacking District from the docks. 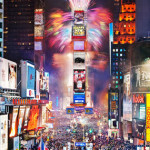 Opened in 1934 it was conceived to free up New York City’s congested road system and connected directly to Manhattan’s west side.factories and warehouses. 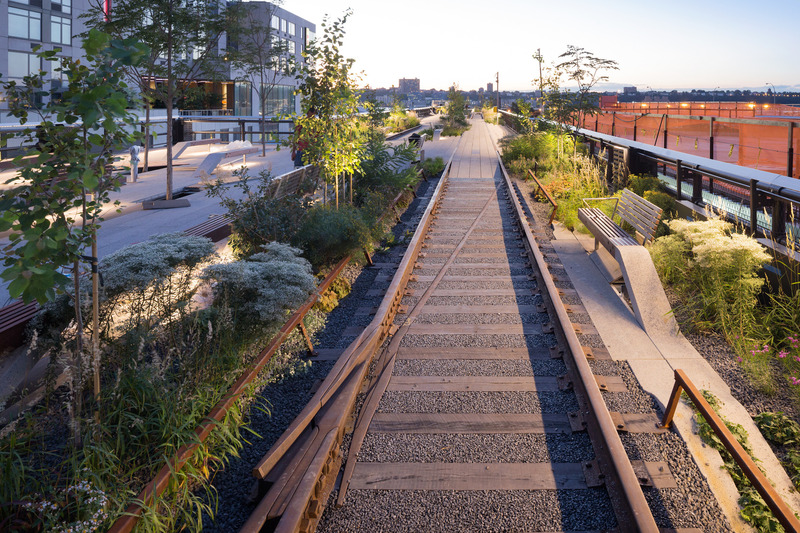 It lay unused and abandoned since the 1960s until a group of forward thinking New Yorkers, the “Friends of the High Line” worked to transform the abandoned track into a walking park and were given permission in 2006 to begin construction. 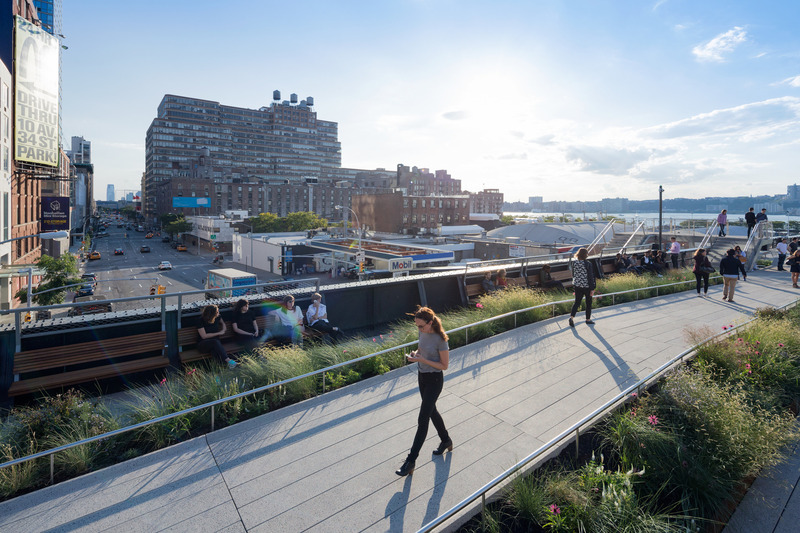 Today it is accessible from many street level entry points and used by tourists and New Yorkers to enjoy a walk amongst grass and flora whilst enjoying a spectacular view across Manhattan. providing free open space for all of its residents to enjoy,” said Mayor de Blasio.